We listen to our customers, and we do so intently. 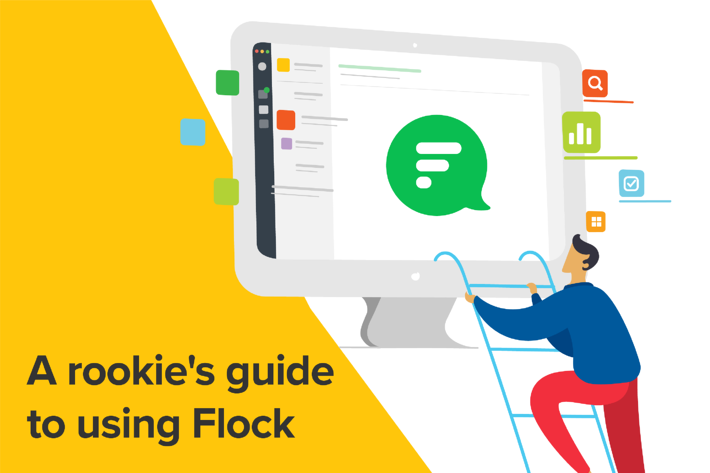 So, it was only natural that when most of you requested us to integrate your frequently used Google apps into Flock, we did just that. We’re ending this eventful year with a quite a few developments and some big news. 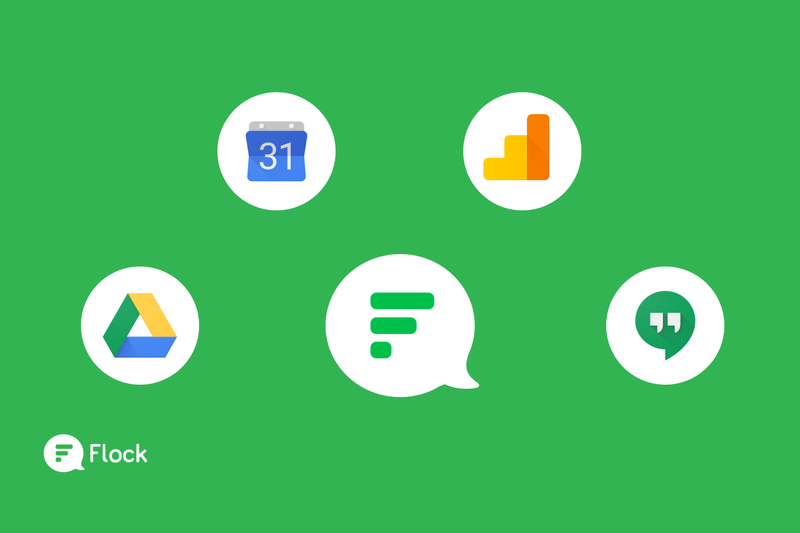 One of them is our latest additions to the appstore, your favorite suite of Google Apps, namely Hangouts, Drive, Calendar and Analytics. 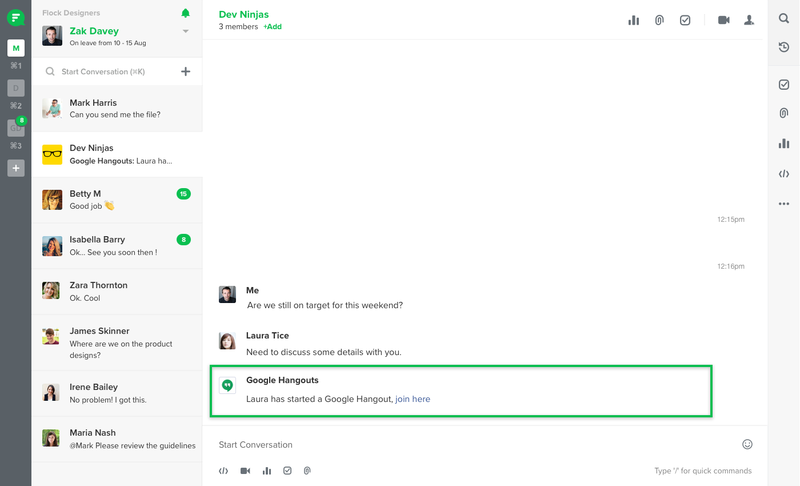 While we’ve already got video calls covered with our native appear.in integration, quite a few of our existing teams were most comfortable using Hangouts and continued to do so outside of Flock. But not any more! 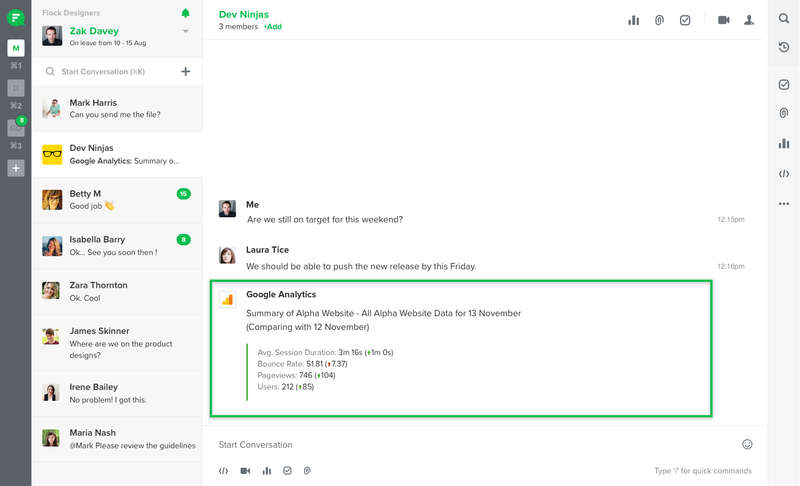 Going forward, if you need to get on a call with your team or client, you can always do so right from within Flock, using either the Google Hangouts or appear.in integration. When it comes to video calling, choice isn’t a bad thing at all! 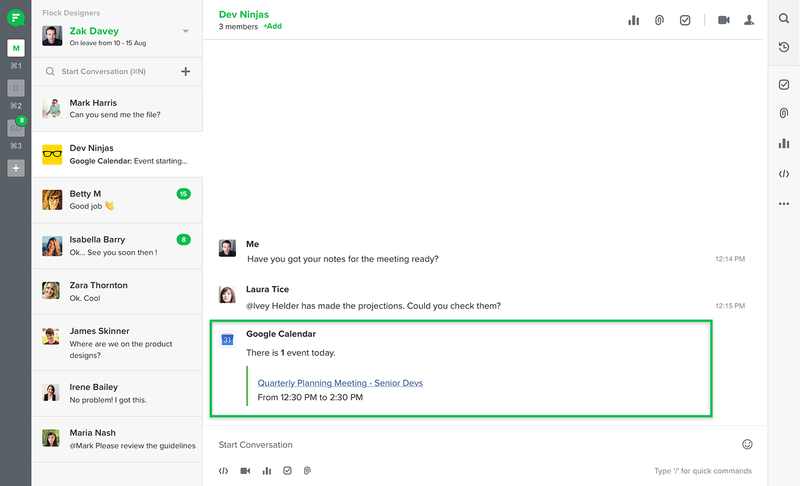 This nifty integration allows you to select multiple calendars, assign dates to events and get reminders and updates through the calendar bot, in Flock itself. 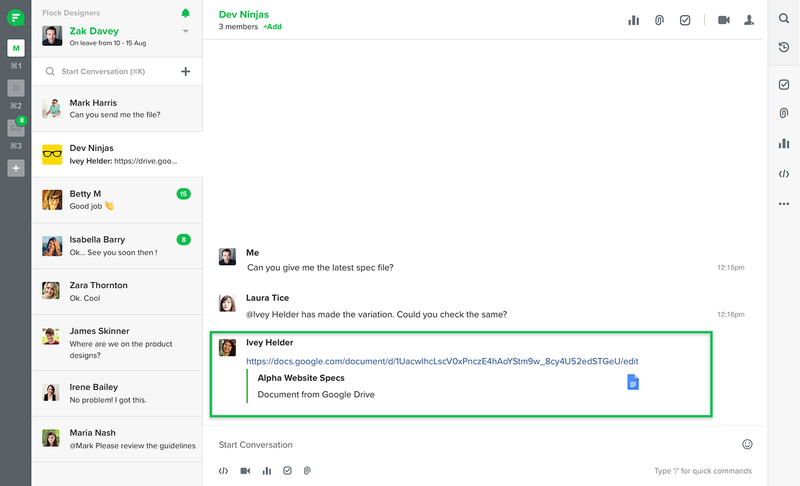 With the Google Drive integration in place, whenever you send a Google drive link in Flock, the Google bot notifies others with the title and type of file shared. 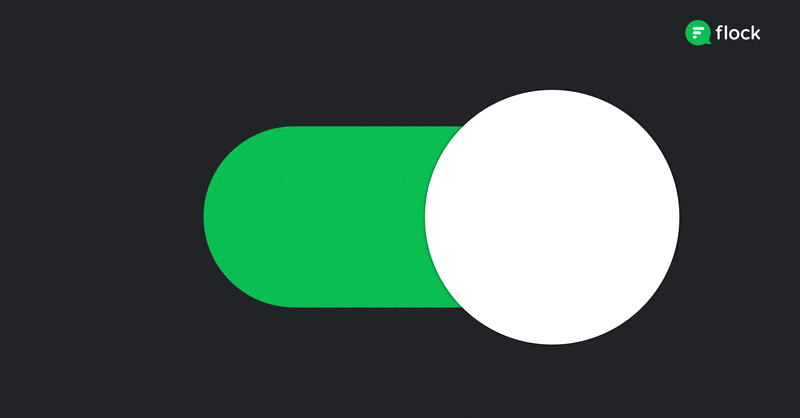 This is a must-have for all marketing, social media and web development teams. Get the Google analytics app and keep tab on important metrics for your company’s website and online campaigns. The Bot will also give you comparison data if you ask for it, nicely!